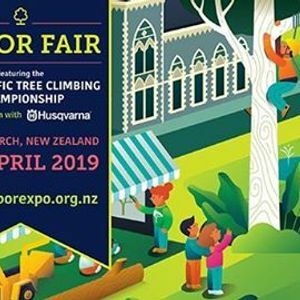 Arbor Fair 2019 is a family day out at the 2019 Asia-Pacific Tree Climbing Championship, Botanic Gardens Christchurch. Watch the competition action in the trees, explore the dozens of market stalls of the Arbor Fair and discover some very cool tree stuff. A series of activities will be running all day designed especially with the kids in mind, including the popular 'NZ Arb Kid's Climb'. The 2019 Asia-Pacific Tree Climbing Championship is top-level, international-zoned sporting event that pits champion against champion, battling it out for the men's and women's Asia-Pacific Championship titles. The competition itself involves in a series of tests of agility, speed and skill, high in the canopy of carefully chosen trees. The event culminates in the Masters’ Challenge on Sunday 7 April from which the 2019 Asia-Pacific champions will emerge. Also, free to the public on Saturday 6 April is a series of short 'Outdoor Tree Talks'. The Talks will cover a range of tree related topics, presented by experts in their respective fields, designed to entertain, inform, and engage. Food and beverages will be available for purchase all day. 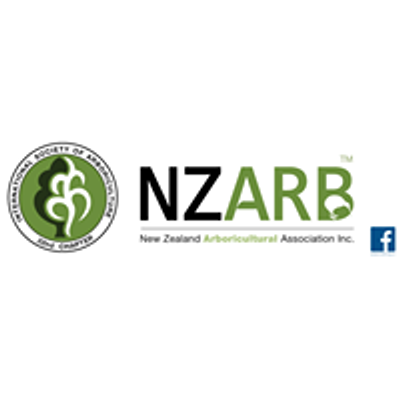 NZARB - New Zealand Arboricultural Association Inc.